AINonline discusses how Bill Forelli learned to fly using X-Plane. He soloed in 10 hours! “The pilot training infrastructure is under enormous pressure to produce more new pilots to satisfy the needs of airlines, charter providers, business aircraft operators, and every other aviation segment. But for the most part, the training process hasn’t changed much over the past few decades, except to adapt to new regulations and modern equipment such as glass panel avionics and autopilots in technically advanced aircraft. While simulators are an important part of pilot training, these devices haven’t done much to reduce the amount of in-aircraft flight time needed for ab initio pilot certification. Simulator manufacturer Redbird has tested methods of incorporating simulators into the training process and did make some progress reducing in-aircraft flight hours, but that hasn’t translated into a wholesale change in the way pilot training is conducted worldwide. There is another way that simulation can help, however, and that is the use of personal computer-based programs such as X-Plane or what used to be called Microsoft Flight Simulator (which lives on in the FSX or Flight Simulator X: Steam Edition personal version and the commercial Prepar3D version). Bill Forelli, a self-avowed aviation geek and marketing manager for an online electronics retailer based in southern California, is a one-man test-case for using X-Plane to accelerate the learning process. He has not only used X-Plane and other platforms for practice that has accelerated his in-airplane training, but he has also documented his experience online, with videos on YouTube and livestreaming on Amazon’s Twitch platform. About two years ago when he was living in the Seattle area, Forelli built up a customized Windows PC and installed X-Plane. 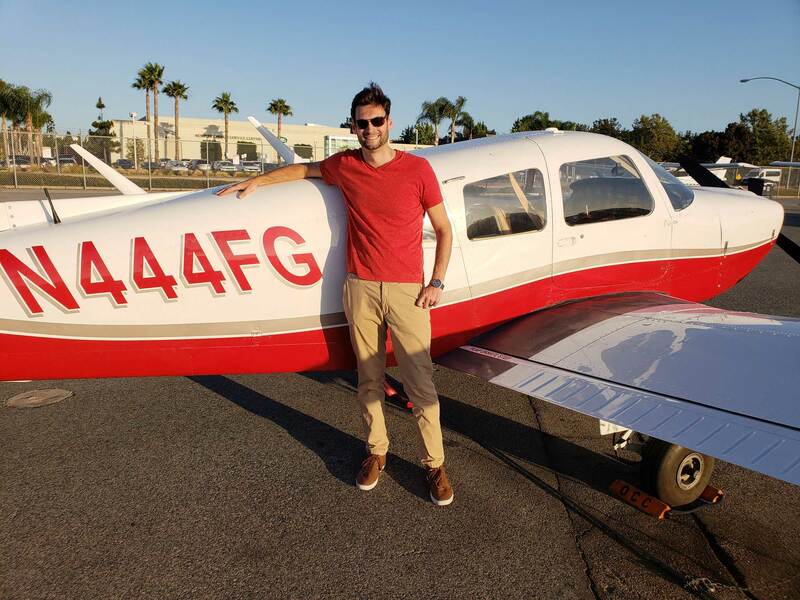 After publishing videos of his simulated flights on YouTube, he joined the Twitch community and started streaming his “flights.” That opened up a new world of communicating with people from all over the globe, watching the livestreams and commenting on his flying. It was Twitch viewers who introduced Forelli to PilotEdge, a service that provides real-time live air traffic controllers for simulated flying. When Forelli flew his first simulated flight with PilotEdge, he found the experience nerve-wracking, but fulfilling. “On PilotEdge, I was terrified,” he recalled. Watching the video of his first PilotEdge flight with X-Plane, it’s easy to pick out the errors, but it is also clear that Forelli had learned a lot from his practice. His first error was not calling clearance delivery, but the PilotEdge controller (usually it’s the same person handling all positions, for efficiency) was accommodating and gave the clearance to Forelli without making him switch frequencies. Forelli was also not prepared to write down and read back the clearance, but he quickly got the hang of it. After moving to Orange, California, Forelli planned another discovery flight. “I wanted to try a new school and a new location and experience it before jumping in feet first.” Having flown from John Wayne Airport (KSNA) many times in X-Plane using PilotEdge, he said, “I was mindful of the complex airspace and how insane it was.” To prepare for the second discovery flight, he replicated the planned route in X-Plane and PilotEdge, with a departure from KSNA south along the coastline to Dana Point, then north along the 5 freeway to Irvine and back to the airport. Before taking this second IRL flight, Forelli also asked a friend who was a former Navy controller to help him understand radio communications. They chatted over the online Discord system and flew a simulated flight together using PilotEdge, and this helped Forelli further master his radio work. At this point, Forelli had logged just 1.2 hours on the first discovery flight. He told the CFI at KSNA that he had been practicing radio communications and asked if he could work the radios. The CFI told him to go ahead, Forelli did all the radio communications for the flight, and the CFI was impressed with his skills. Forelli’s first solo cross country from KSNA to KCMA underscored how quickly he has learned to fly real airplanes after practicng for hundreds of hours with X-Plane and PilotEdge.